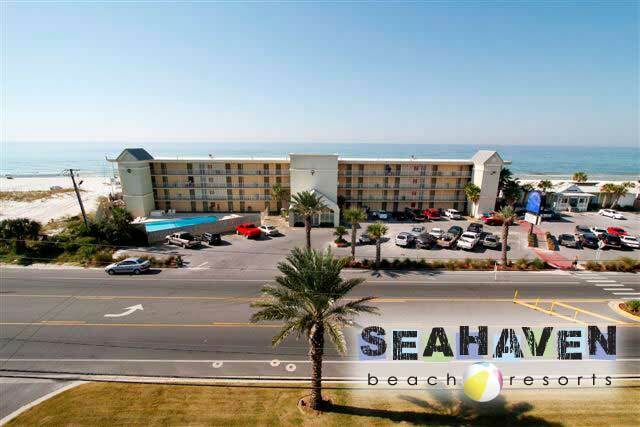 Overlooking the Gulf of Mexico, The Reef Hotel at Seahaven Beach Resorts combines value and fun into the perfect location on Panama City Beach. 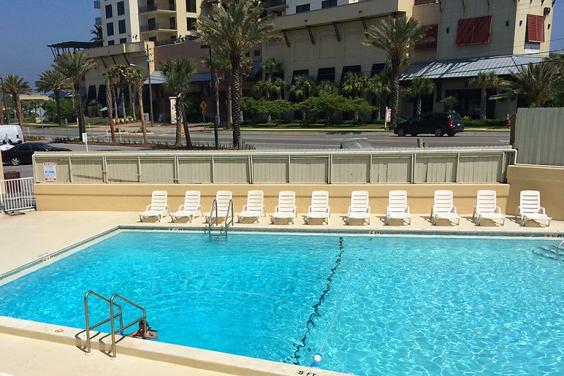 Four floors offer flexible accommodations all with private balconies and incredible views of the Gulf of Mexico. There's over one-quarter mile of private beach for your to explore or to simply relax and enjoy the surf. 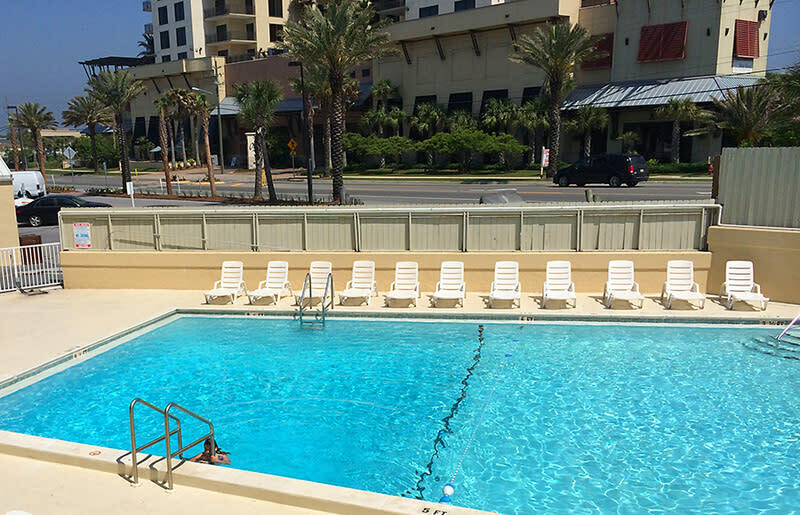 If you'd rather keep the sand out of your toes, you can cool off in the large pool or grab a seat and relax on the pool deck. During the summer season, a Kids Club is hosted by the Seahaven Beach Resorts mascot, Finley. The coolest Shark on the Beach! They will enjoy different activities each day, both inside and out. And best of all, it's free to all guests of The Reef Hotel. On-site dining is available just steps away from The Reef at Sharky's Beachfront Restaurant and Tiki Bar. And, when staying at Seahaven Beach Resorts kids eat free at Sharky's! The Reef is conveniently located to Pier Park, Frank Brown Park and Gulf World.